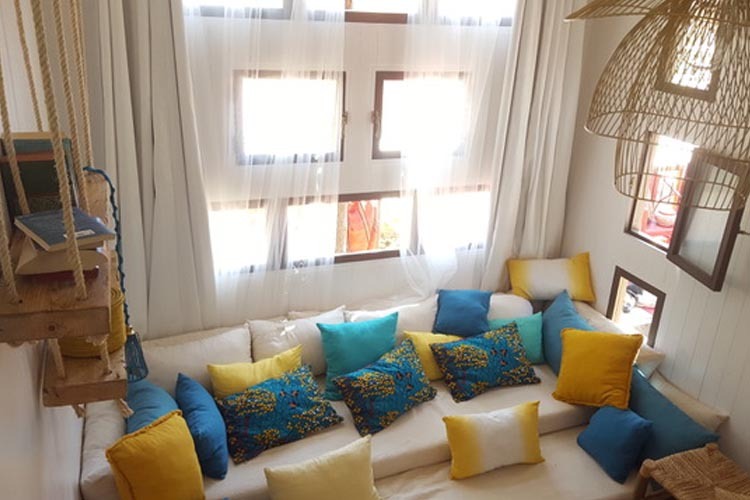 Douar El Ghasoua, BP 423, 44000, Essaouira, Marrakech-Tensift-El Haouz, MOROCCO. 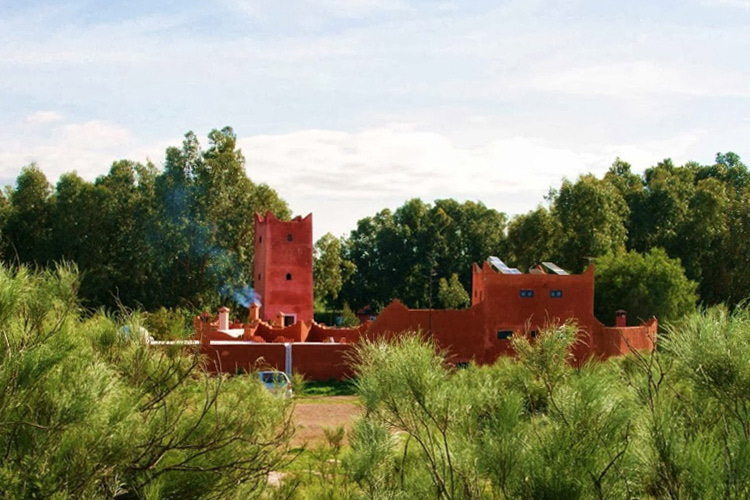 BAOUSSALA is situated in a village halfway between Essaouira "Wind City" and Sidi Kaouki beach where you may experience the quiet Berber rhythm. Among eucalyptus, between patio and terrace, it is the ideal place to enjoy the quiet, the spaciousness and the beauty of nature. 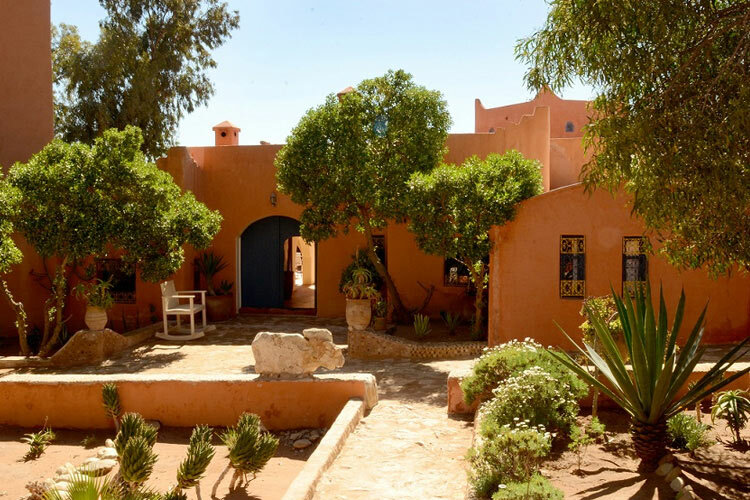 The climate is temperate and sunny throughout the year (between 20 and 30°) in this village. 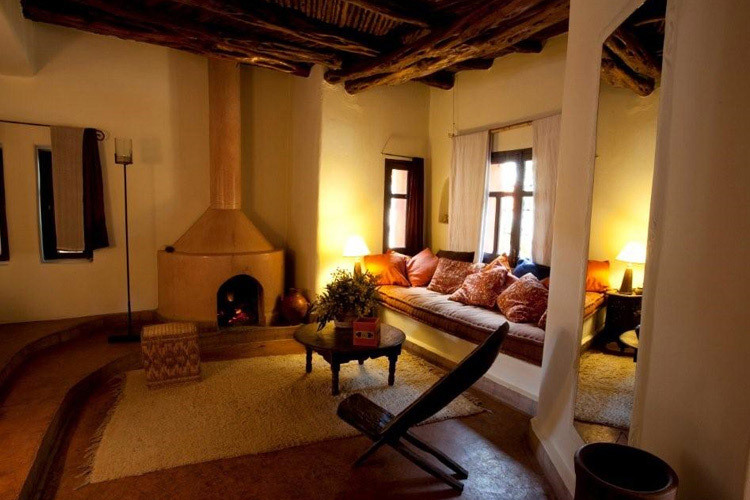 The house consists of a dining room, a large salon with a chimney, and four double bedrooms with individual bathrooms. All rooms are situated around the patio with salon and dining corners. 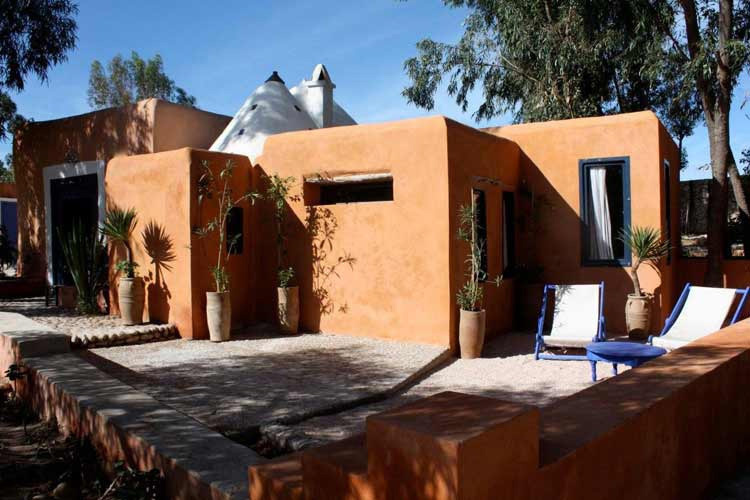 You have access to the terrace roof, solarium, salon corner in a Berber tent. There is a 5000m² garden sheltered by walls. You can rent the whole house, service included. 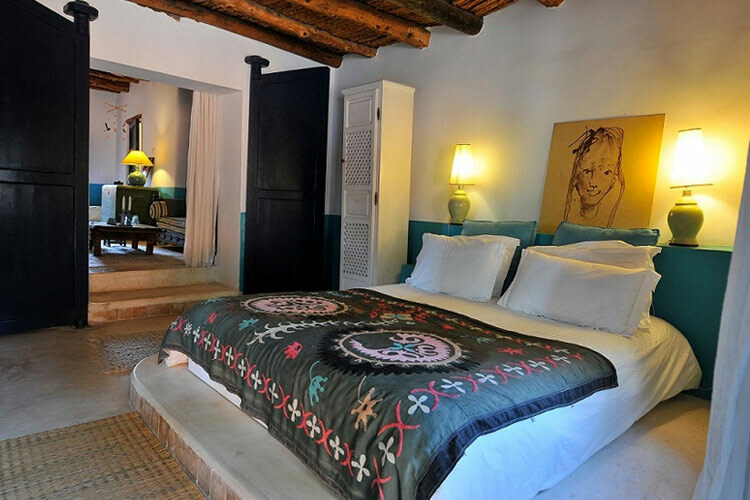 Oasis Room: a double bed, living room, fireplace, small bathroom. 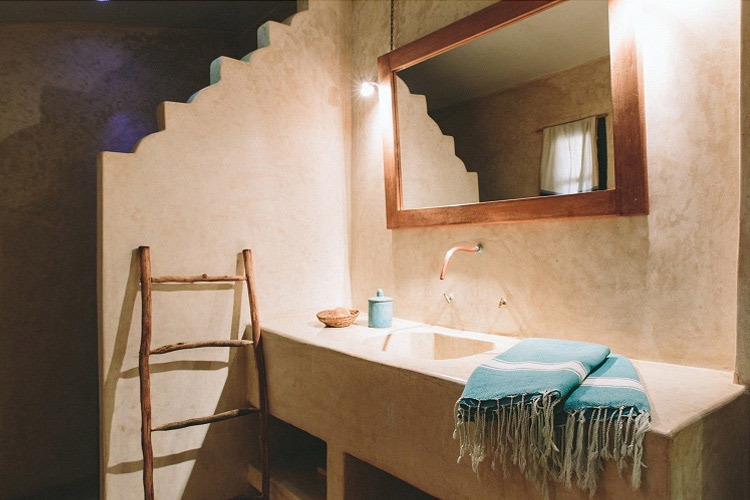 Hammam Suite: very bright composed of a double bed room and a separated living room with a double bed (140cm), fireplace. 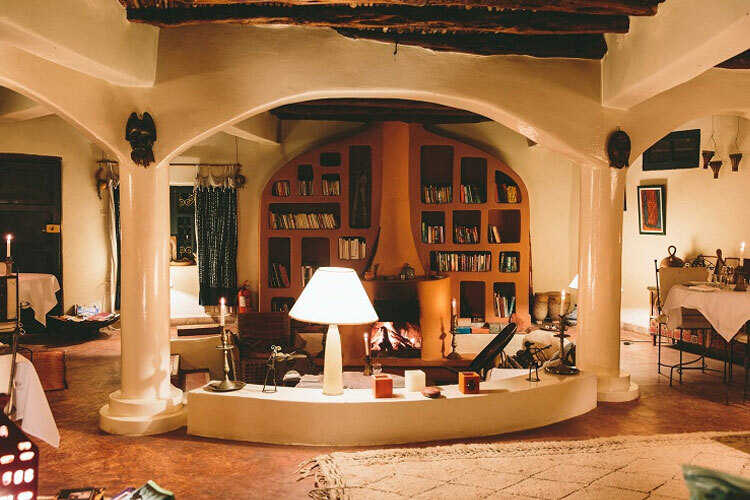 Sahara Suite: huge room 46m2 with a double bed and an other room with 2 beds and a living room, a fireplace, and huge bathroom . 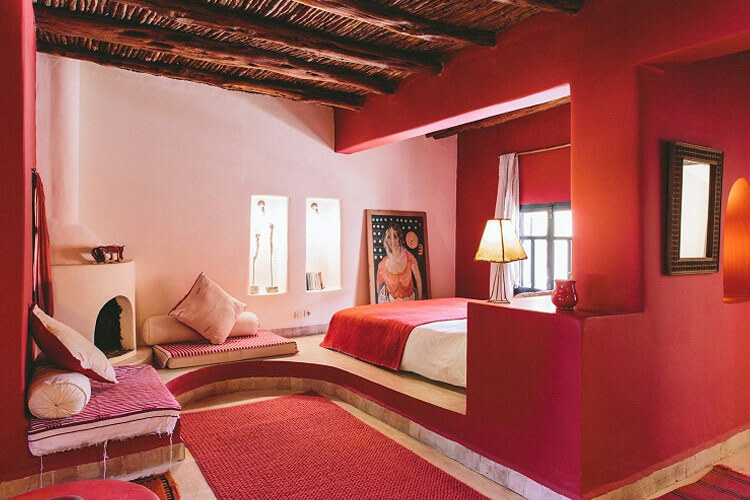 Red Room: spacious room ideal for a couple with subdued lighting, a double bed, living room, fireplace, huge bathroom. 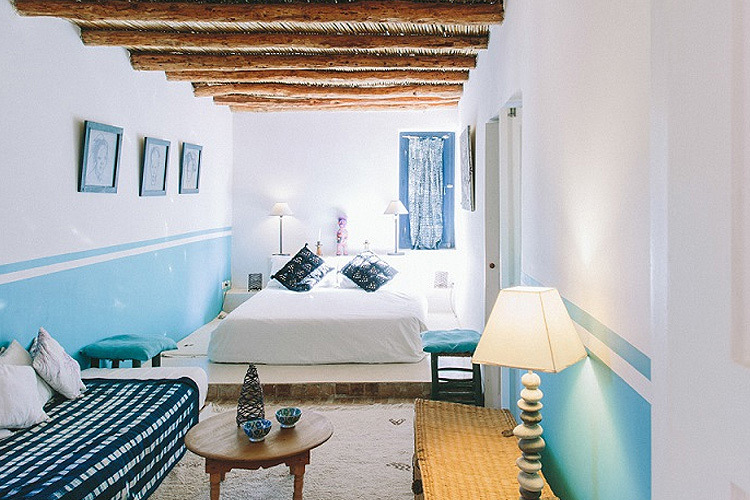 Blue Suite: this room has been renovated and tranformed into a suite, 40m2 with a living room, bedroom with a double bed and a private terrace in the garden. 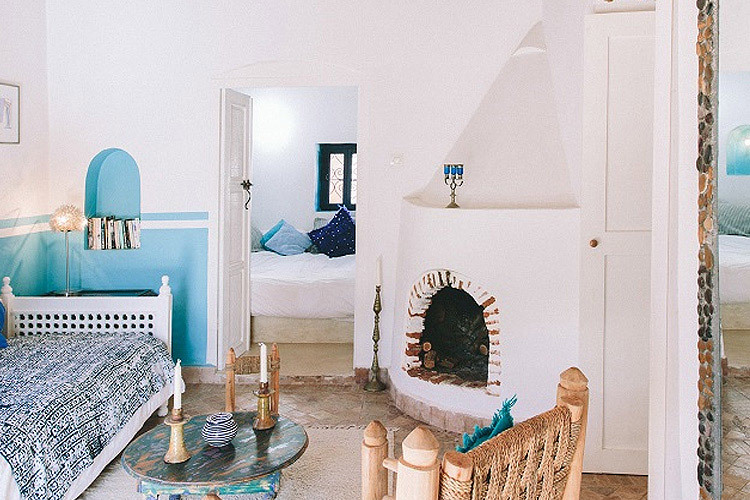 Marabout Cottage: near the swimming pool (15x5m) a sweet little house with a double bed, and a living room and a private terrace. 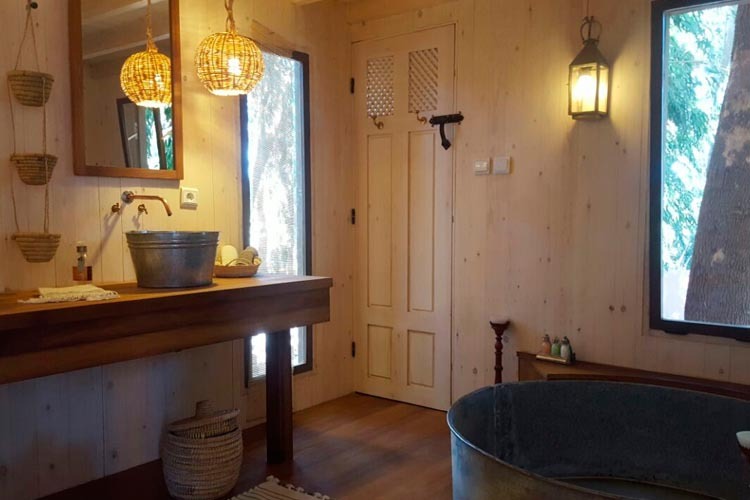 The Taabiha Cottage: 50m², completely made of wood and laid on stilts, it is situated under the highest gum trees of the garden. 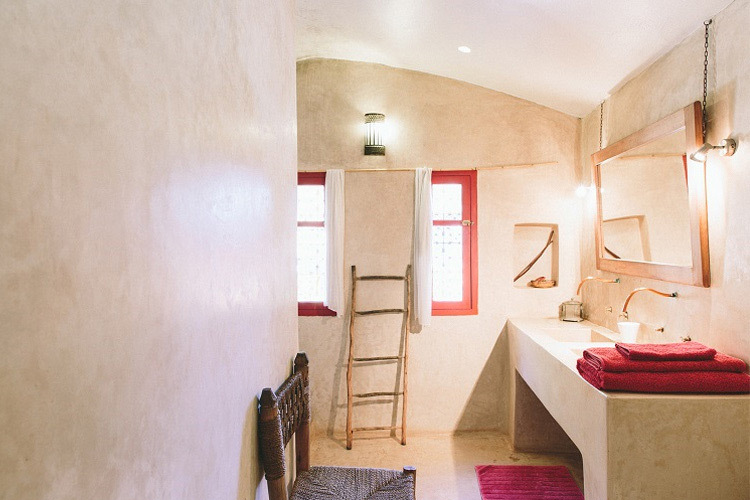 Bohemian stylish designed, it can accommodate up to 6 people. 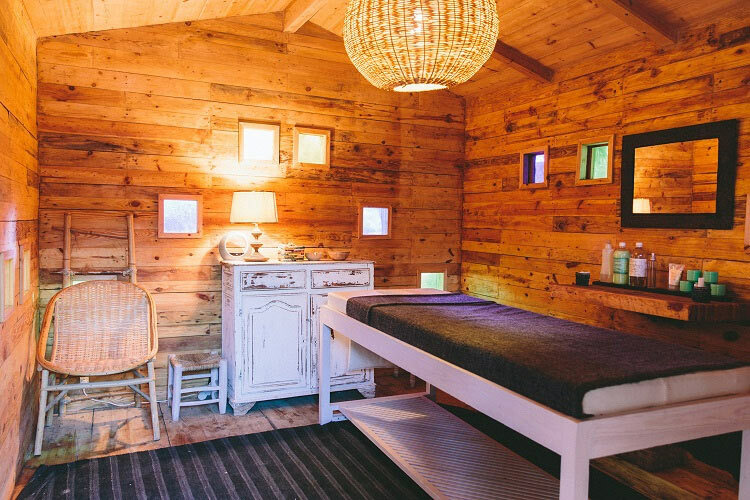 This unusual accommodation is composed of a main room including the master bedroom and a lounge with a wood burning stove for the winter evenings. 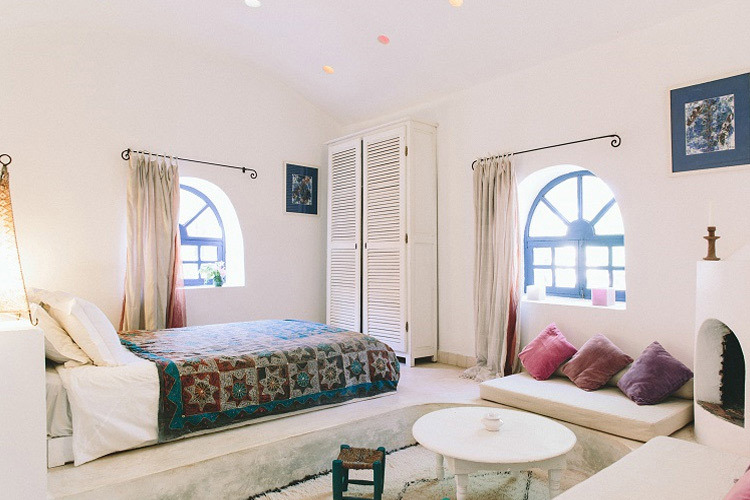 A second room, intended for the youngest, consists of a first part full of cushions (possibility to prepare it as a bedroom), a miller's ladder leads to the mezzanine which serves as a bedroom (one double bed). 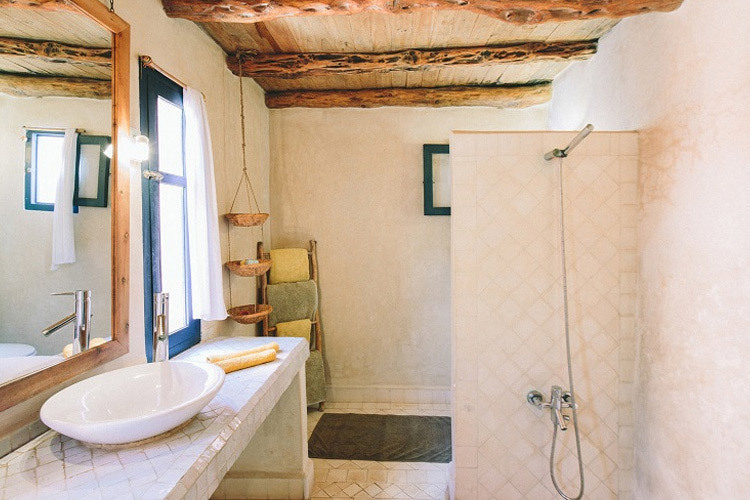 The bathroom is accessible from both rooms and has a zinc sunken round bath and a separate toilets. Large private terrace. The price per night breakfast included is for 2 persons. Maximum occupancy 6 people (extra costs may apply). The pool is heated at 28° all year ith a biomass boiler (ecologic). 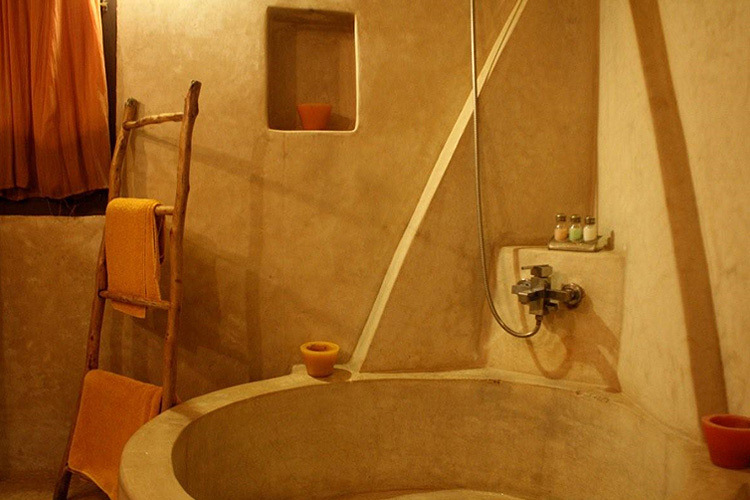 There is a traditionnal hammam (steam bath) with free access. Massage and skin care treatments can be arranged. Internet: WIFI is available for those who want to connect. They can arrange car rental, taxis, and airport transfers. A flight from Paris to Essaouira is planned. Card number needed to guarantee booking. You will pay the whole amount at check-out, in cash (euros, sterling or dirhams) or by card (+3% local taxes for the card payments). 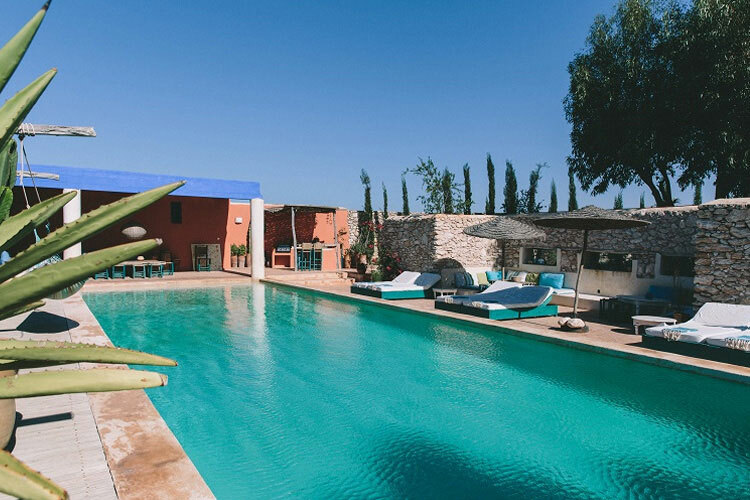 - cancellation from the date of reservation to 31 days before arrival : 30% of the stay charged (non-refundable deposit). 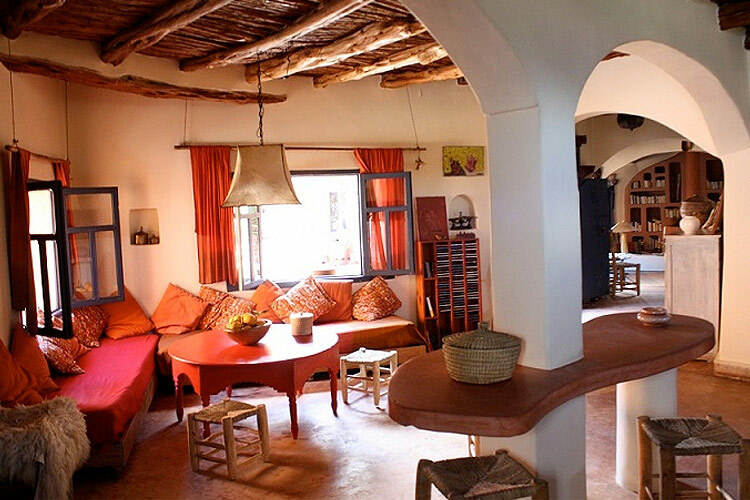 - cancellation 30 to 7 days before arrival : 50% of the stay charged. 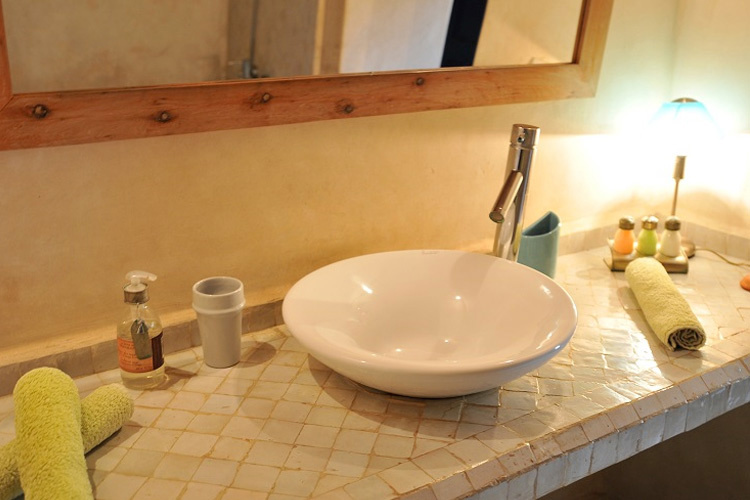 - cancellation 7 days or less before arrival : 100% of the stay charged. Each rate may have its own cancellation policy as determined by the hotel. The hotel may charge the guest in accordance with hotel policy. All costs and conditions may change or vary between booking channels and should be understood upon booking. Year of establishment and/or latest refurbishment: 2001/2008. Languages spoken: Arabic, Berber, English, French. Restaurant closed: Dinner by prior arrangement (before noon). 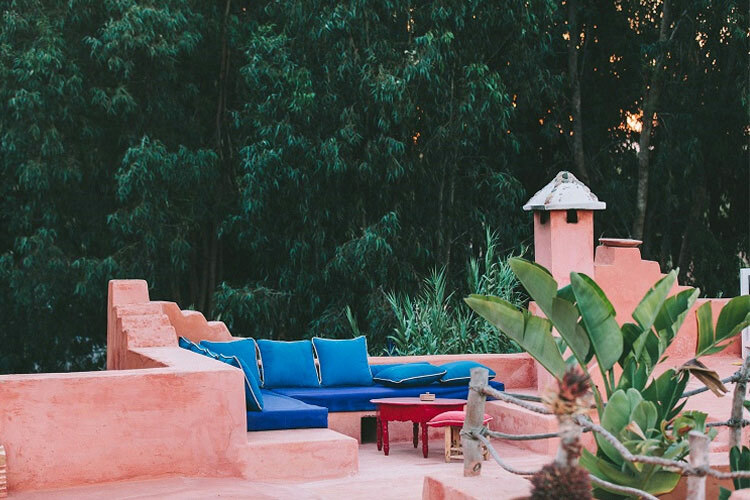 How to get here: Located 9km from Essaouira. Go 6km until you reach the restaurant called KM8. Then take a small bumby road for 3km and you will reach Hotel Baoussala. 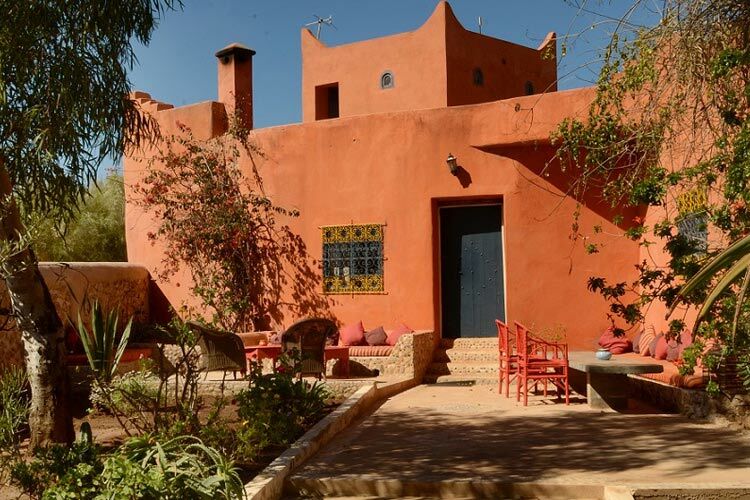 Nearest airport: Essaouria - 10 min. 2 people 100 incl. incl. 2 people 85 incl. incl. 2 people 130 incl. incl. 2 people 115 incl. incl. 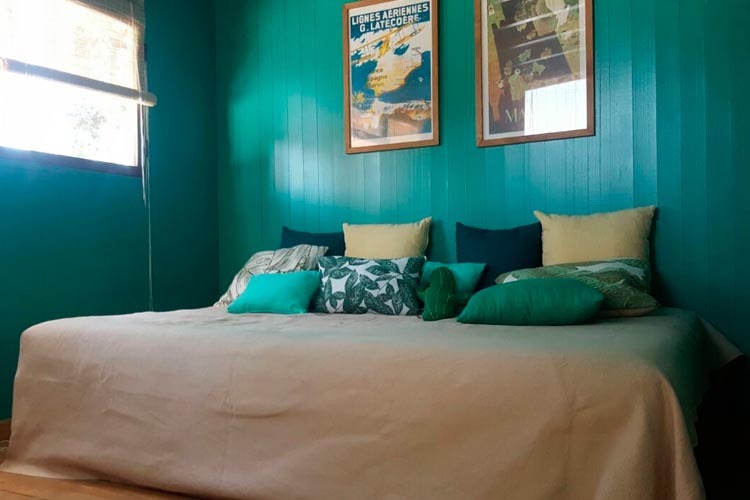 Extra bed adults 20 incl. incl. Extra bed child 15 incl. incl. Half board Diner 15 incl. incl. Whole House (max.12 people) 610 incl. incl. 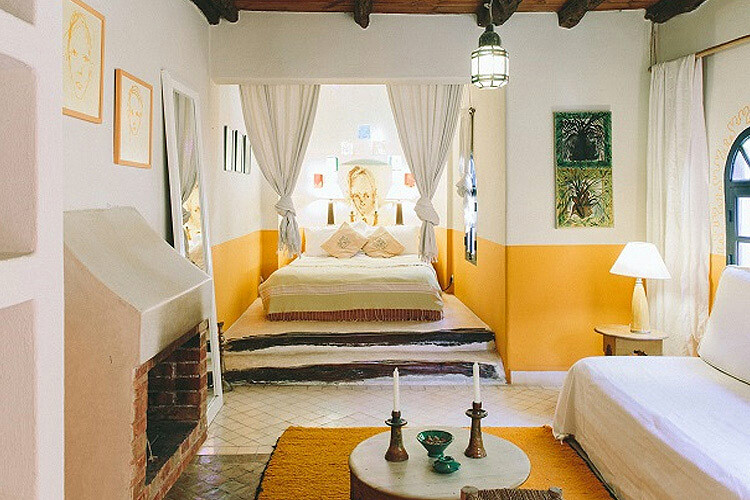 This price are for 2 people, free of charge for children until 4 years old, +15 euros/night from 5 to 12 years, +20 euros/night from 13 years. We also have to let you know that since the 1st of April 2015 we have to ask a tourist taxe of 2 euros/night and per personn (children of less than 12 years are exempted). 50% non-refundable deposit when booking. All costs, prices, and polices, including exchange rates and package deals, may change and should be confirmed with the hotel upon booking. Additional cot free of charge. Children 5 years old 5 euro minimum 3 nights.